When our children were still in middle school, many years ago, I didn’t know anything about homeschooling high school, which made me really anxious. Consequently, I did what I always do when I’m anxious - I ate cookies and I researched like crazy. I researched transcripts, course descriptions, curriculum, and grading - the whole shebang. Both helped (the cookies and the research), and eventually I became much more confident and competent, but I was still perplexed about the whole concept of grading scales. It seemed like every book I read said something different about the right way to determine just what was an "A" and what wasn’t. I read a lot of different educational books, and there wasn’t any agreement on one official grading scale that everyone should use. 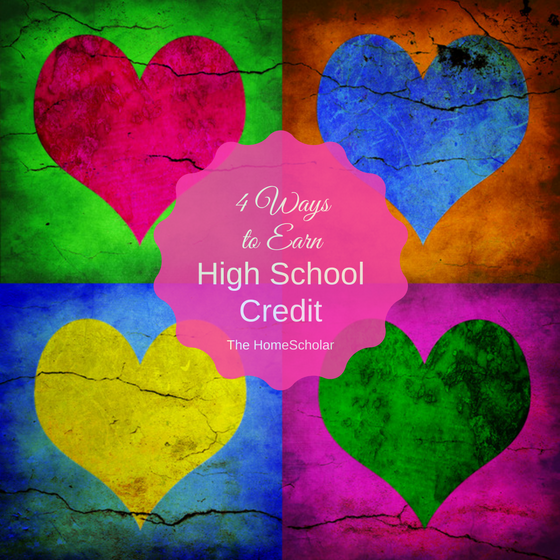 There are different ways to earn high school credit. 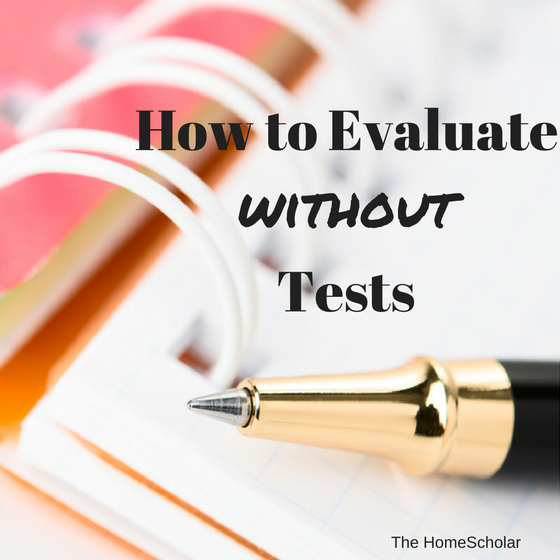 What I don't want you to do is create a test for each subject in order to evaluate your child. What I do want you to do is think about how you are already evaluating your child. What I do want you to do is give a grade for every subject. Following me so far? No tests are necessary. There are many ways to give grades without tests. You might give a grade based on what your child accomplished. I don't want you to use all my ideas, only the ones that work for your homeschool. But I would love if you did not create tests for subjects that don't already include tests. It's like creating a fill in the bubble test for piano lessons - not necessary at all. You are evaluating already - simply try to figure out how you are evaluating - then write it down! Homeschool parents can be worriers, "Do I have enough structure in my homeschool? Not enough? Are my grades too lenient? Too strict?" 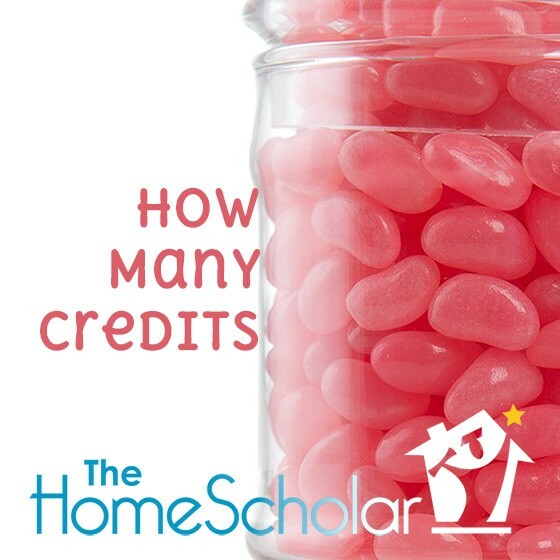 In addition to a long list of other potential worries, some parents wonder about homeschool credits and whether their child will have enough to graduate, while others are embarrassed by the large number their child has accrued. How many is normal? Let’s take a look at the possibilities. Unless you’re one of those super-conscientious homeschool parents who keep all your homeschool records up to date, you probably need to spend a little time catching up on record keeping. Grading, filing, and planning are all important, especially in the high school years! If any of this feels intimidating to you, let me encourage you that you’re not alone. Many parents feel unsure of themselves, especially when it comes to grading high school work, because it seems so ... subjective! While grading subjects such as math or science can be done objectively if you use tests, there are many courses that aren’t nearly so easy to grade, such as creative writing, culinary arts, speech, or logic. How do you evaluate these types of courses? Although grades are a very important tool to evaluate your student’s work, there are other equally useful and valid methods you can use for courses that aren’t easily gradeable. 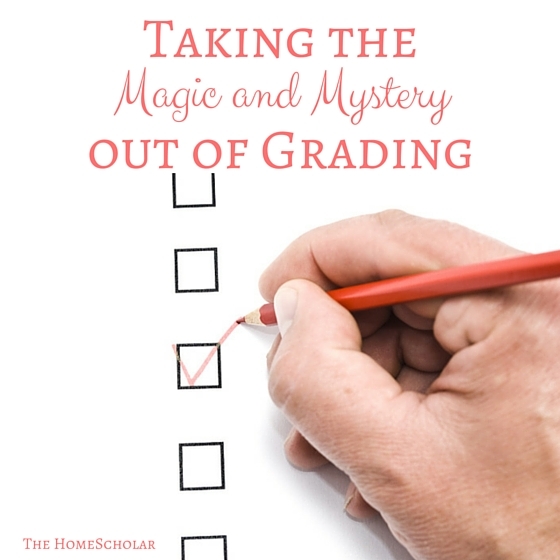 In our homeschool, we used the idea of mastery to evaluate courses. Mastery simply means that your student has mastered a subject and learned what you expected them to learn. I’ve found that homeschool parents tend to have high expectations for their children, so using this method is an effective way to evaluate your student’s work. Here’s an example of mastery: suppose your child is studying something unusual such as culinary arts. You could evaluate their work based on what they produced - how it tasted, its appearance, and overall presentation. You could evaluate your child's attention to detail and organizational skills, economic performance (budgeting), and even marketing efforts. All of these factors could be considered in a final grade. Keep in mind that there is a difference between mastery and perfection. You need only examine my checkbook to learn the difference! While I have mastered the simple skills of addition and subtraction, I am not perfect, and have made errors in my check book on occasion! In the same way, whether you grade with or without tests, a grade of 100% mastery does not necessarily mean perfection. When you have high expectations, and your children meet your expectations, it’s fine to give them 100% on their work, even if it takes a few tries. I gave my sons 100% when I knew they had mastered the concepts I wanted them to learn, even when they weren’t perfect. Grades can be given for intangible tasks, such as oral presentations, classroom discussions, class participation, or completed homework. When my sons completed a chapter of math, or finished a chapter test, they earned 100%. They worked hard and spent a lot of time on their assignments, so I believed they deserved to have intangible work included in their grade. If your child achieves mastery, meets your high expectations (especially when their work is corroborated with good standardized test scores), and they love the subject, by and large they will probably achieve a grade of A or 4.0. If they did fairly well but their work wasn’t worth an A, they will probably earn a grade of B or 3.0. If they didn’t do well at all but kept doing on to the next level, they might earn a grade of C or 2.0. But in the end, mastery is what you want to encourage your children to strive for. He's a bit of a harsh grader on assignments and quizzes. He does grade hard on papers. He has a very fair grading style. Public school teachers are also subjective humans. Like you, they can only do their best to provide grades they know to be honest and true. That’s what I encourage homeschoolers to do as well—provide grades you know to be honest and true. Of course, grades are easy to calculate for courses such as math and science, but what should you do with courses such as cake decorating, choir, 4-H, or speech? Some classes don’t lend themselves to grading, yet your student should definitely get credit for them! It’s important to assign a grade for all your courses, because grades are the love language of colleges, and you want colleges to love your student! Most homeschoolers take piano lessons or know somebody whose kids take piano lessons. Piano lessons generally do not involve any fill-in-the-bubble tests. Usually piano teachers evaluate their students based on how well they play, how much they practice, and whether they memorize their passages. Teachers don’t tend to give tests on piano, they evaluate piano skills. This is exactly what you want to do, too. It’s not necessary to base all course grades on tests or quizzes. An evaluation of your student’s work is definitely an acceptable method. Homeschoolers frequently encourage mastery when teaching their children. They don’t move on to new subjects until their student understands the content. If you educate based on mastery, I encourage you to evaluate your student based on their finished product, not on the sometimes-ugly process of learning. If your child meets your high expectations, especially if you use mastery before moving on, it’s okay to give the child an A and say that they met your expectations one hundred percent. It’s also okay to say that they did not meet your high school expectations. A grade of B or less is completely fine. When you assign grades, be careful not to handicap your student. In both public and private school, students are graded on more than merely test scores. They’re also graded on whether they participate in the discussion, show up to class, and do their homework. In addition, teachers often give extra credit, drop low grades, and in other ways give students additional opportunities to make up work. If you only base your homeschool grades on test scores, you are handicapping your student in comparison with their schooled peers, which will put them at a disadvantage when colleges evaluate them. 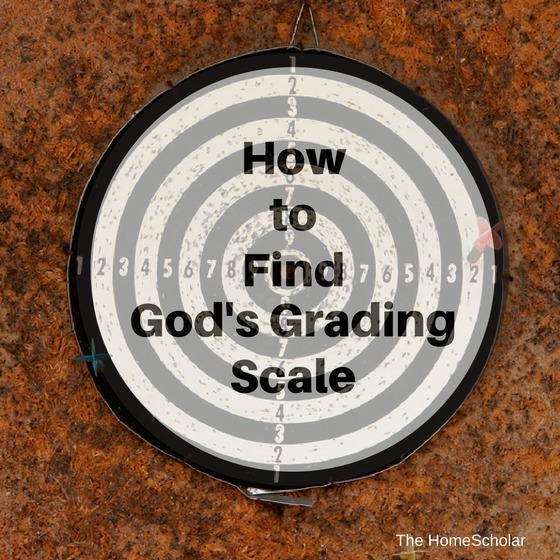 If you’re having trouble assigning grades, take a step back and evaluate. 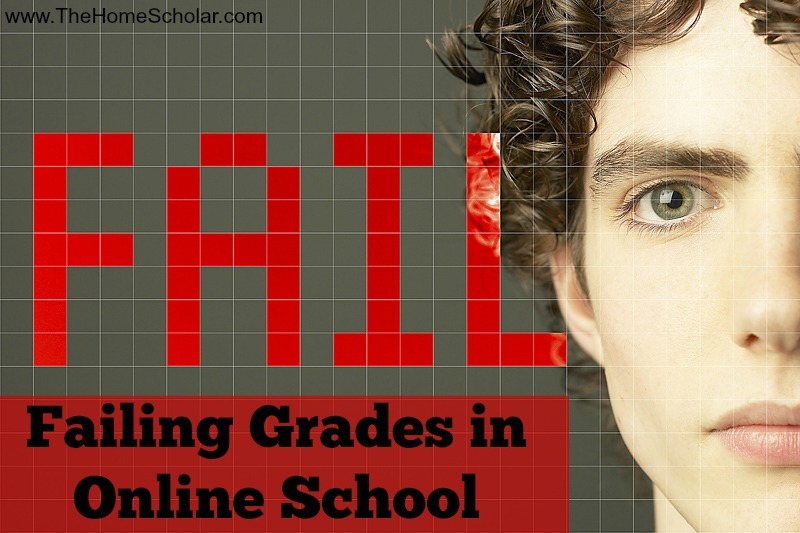 Are you being honest and true with your grades? Are you considering factors besides or in addition to tests and quizzes? My own sons laughed at my “mommy grades" but when they went on to college, they realized that I graded fairly, even hard in comparison to some of their college professors. Record what you know to be true about your student’s work, and let colleges take it from there. 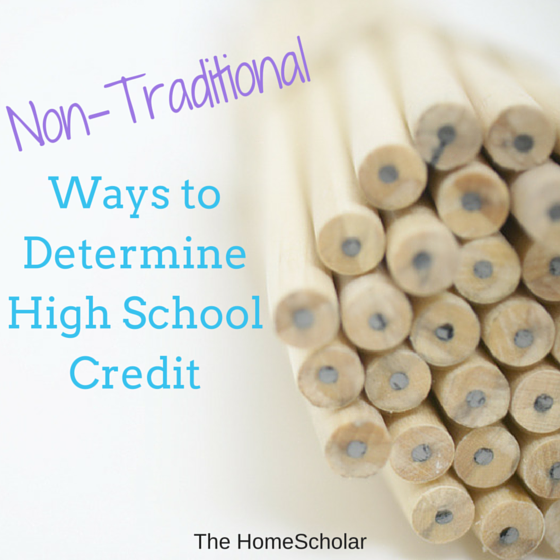 There are many different ways you can determine high school (and sometimes college) credit for your homeschool student. It's one of the great things about homeschooling! The usual test-and-quiz evaluation method isn't the only way to give your child credit on their high school transcript. Other methods are just as legitimate, and in some cases even easier! One way your child can earn credit is through dual enrollment in a community college. They may be completing a correspondence or distance learning class, or are sitting in a college level course. College level learning should go on the high school transcript. Perhaps your student is taking credit by examination. Many homeschoolers take College Level Examination Program (CLEP) tests, which show college level learning at any age. Other parents use Advanced Placement (AP) courses to determine that their child knows a college amount of material. If your child takes a CLEP or AP test and they demonstrate college knowledge in a subject, whether you taught it or not, make sure to put that on their homeschool transcript. Another way you can award credit is to look at demonstrated expertise, although it’s a little bit harder to nail down. One way to recognize expertise is to get a professional’s opinion. If you have a friend that is a college professor or teacher, and they say your student has demonstrated high school or college level work, then you can be confident in giving your student credit for that expertise. Sometimes students get published in an adult-level paper or periodical. Getting published in National Geographic Magazine or having research on mushrooms published shows expertise. They may even land a job in the field. One of my friends' daughters was a dental assistant at a very young age, holding an adult job in a career field. This is demonstrated expertise which you can put on a transcript. Some students compete in an activity that demonstrates high school or adult level work. Students who compete athletically often compete against adults and their expertise is certainly worthy of recognition and credit. Several homeschool students have competed on the U.S. diving team at the Olympics—I hope their parents gave them credit for it! Other students compete in debate tournaments, Bible Quiz tournaments, or 4-H state events, which all demonstrate expertise and knowledge. Remember that knowledge is demonstrated in many different ways and doesn’t have to be evaluated by a test or a research paper. If your child shows high school or college level knowledge on a topic, you can award them credit on their transcript. This is one of the advantages you have as a homeschool parent—freedom to let your child learn at their own pace and explore many interests, instead of being restricted by a school’s agenda or curriculum. 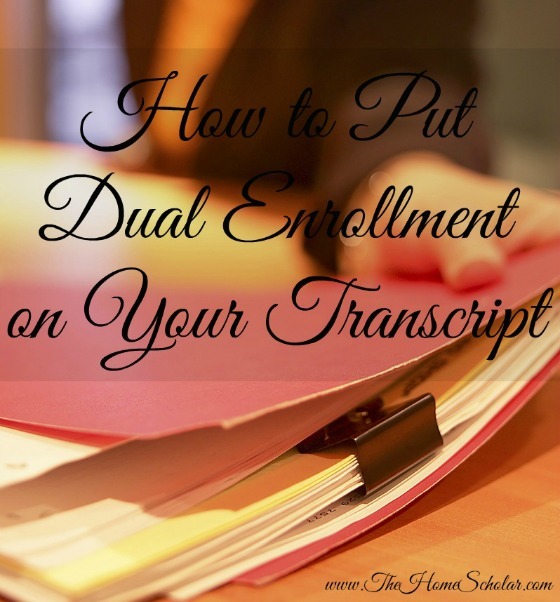 6 Steps to Putting Dual Enrollment Classes on a Home School Transcript. To put dual enrollment on the transcript, this is what I suggest. I like using the CC part of the acronym for community college, it makes it look so obvious that you are dual enrolled. One whole college class is equivalent to one high school credit. If your child is taking one whole college class, worth 4, 5, or 6 credits, then it is one whole high school credit. If the college class is 1, 2, or 3 credits, I suggest calling it a half credit class. All parents know that the homeschool transcript is the least of our worries about community college. Our bigger concern is actually how our child performs in the real life college situation, both academically and socially. I do have one big tip to help you guide your child toward higher college grades. The answer lies in vocabulary. 80% of a subject is learned through the vocabulary alone - in other words, if you master the vocabulary, you are 80% of the way to getting an A in the class. Get some flash cards, highlight the book with the vocabulary words, and have the child quiz himself or herself on those vocabulary words. For answers to your questions on transcripts, take my free class on Grades, Credits, and Transcripts. If you still have questions, consider getting the Total Transcript Solution. It has a lot of additional resources, and thoroughly answers all common difficulties, while giving you the tools you need to get things done. At the same time, the Total Transcript Solution has one consultation, so you and I can talk together if you still have a question that hasn't been answered. Does that explain it all? I hope that make sense to you! 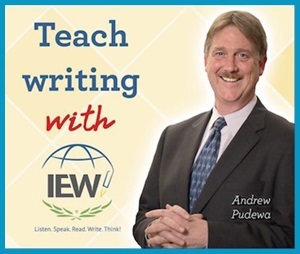 ~ Andrew Pudewa, Director of the Institute for Excellence in Writing (IEW). If you are experiencing anxiety about your child entering college and the real world, you want to hear Andrew’s entire review, including some great encouragement for homeschoolers, check out the YouTube video below to listen. 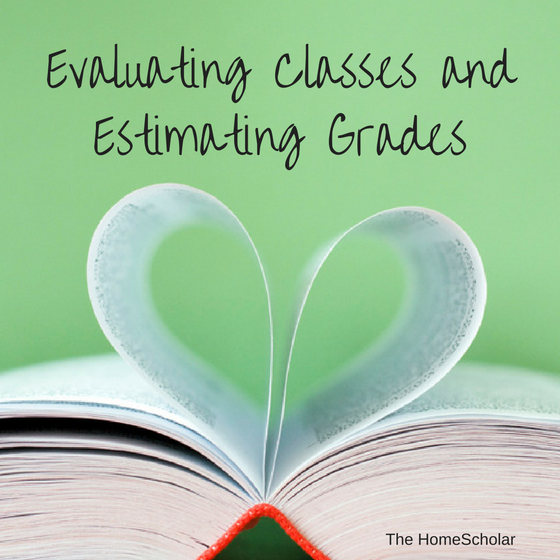 If you need to learn more about determining high school credit for your curriculum, or if you need help getting started on your transcript, I'd love for you to take this free class "A Homeschooler’s Guide to High School Grades, Credits, and Transcripts". If you are ready to jump in, and make your transcript, but you'd like some moral support, check out the Total Transcript Solution. Have you used the Total Transcript Solution? Please share your experience! Ooops! Not Done With Math! What do you do, when you just aren't done with math before the year is done? Let me give you a few options, and you can decide which is best for your situation. You could measure math credits by counting hours spent on math. Some moms know their child can't complete a whole level each year. For them it makes sense to embrace the way God made your child, and give math credits not by textbook, but by the number of hours worked. In other words, it your young person worked at math for 45 minutes to an hour a day, then give credit for math, 1 credit per year. The title of the class is extra important in this option. You don't imply that your child got farther in the textbook than actually accomplished. To clarify that, you can call the class Algebra 1A, for 1 credit, for a whole year of work, for the first half of the textbook. Then call the class Algebra 1B for 1 credit, for a whole year of work the following year, for the second half of the textbook. That way is sometimes easier, I think, because there is less to keep track of other than completion dates. This may not be a good choice if a child is FAR behind, while still working hard all day, because they get short-changed for all the work they did just to get 1/2 way through a textbook. You could decide to embrace the random start and stop time of your homeschool classes. Some parents prefer to give grades each semester, rather than each year, because the timing is just too difficult to figure out when each class begins and ends otherwise. If you do that, then each 1/2 textbook you can enter half the number of usual credits and give a grade. So on the semester system, a math book is still 1 credit, but each semester is 1/2 credit. I to have some transcript templates with semester grades available for you to look at, but templates are usually just by semester or by year. You can still add one class at a time that ends at the semester, if you like. This works well if your child starts and stops many classes at somewhat random intervals. Every 6 months, update the transcript with what was completed in the previous 6 months. 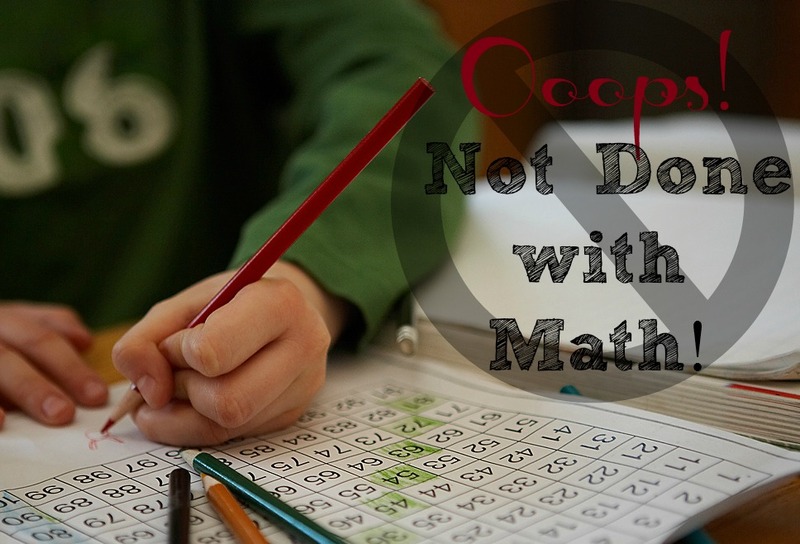 You may need to just lighten up, and your child can complete a math book per year. Other moms are just expecting more than a public school expects. In other words, expecting a child who struggles to complete every single problem in the book, from beginning to end isn't always the best choice. After all, a child only needs enough practice to learn, not all the practice problems that are provided in the universe. And homeschoolers don't need to complete all the chapters in every textbook, either. If you complete 75-80% of the curriculum, then it's done. So maybe Algebra 1 or Geometry will be done sooner than expected. If you need more help, I have some math articles to encourage you! What do you think? Which method would you choose? How Do I Show 8th Grade Classes on a High School Transcript? I get this question a lot: My daughter is in 8th grade and has completed a couple of High school courses this year. How should I show it on her transcript? If your child hasn't started high school yet, he or she can still earn high school credit. If she has done Algebra 1 or higher, high school biology or higher, or high school foreign language, then it does go on the transcript. Here's how. If you want to know more about earning high school credits in middle school, I have some great free resources. This blog post explains more: Early High School Credits Earned in Middle School. 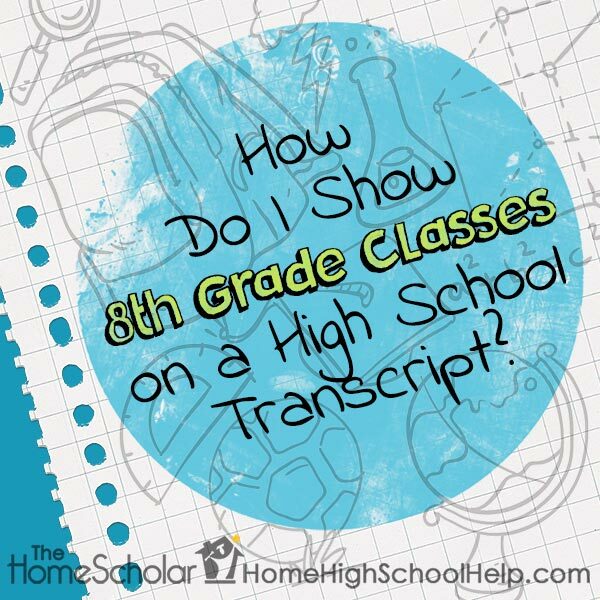 This free class on grades, credits and transcripts will give you even more detailed information: A Homeschool Parent's Guide to High School Grades, Credits, and Transcripts. 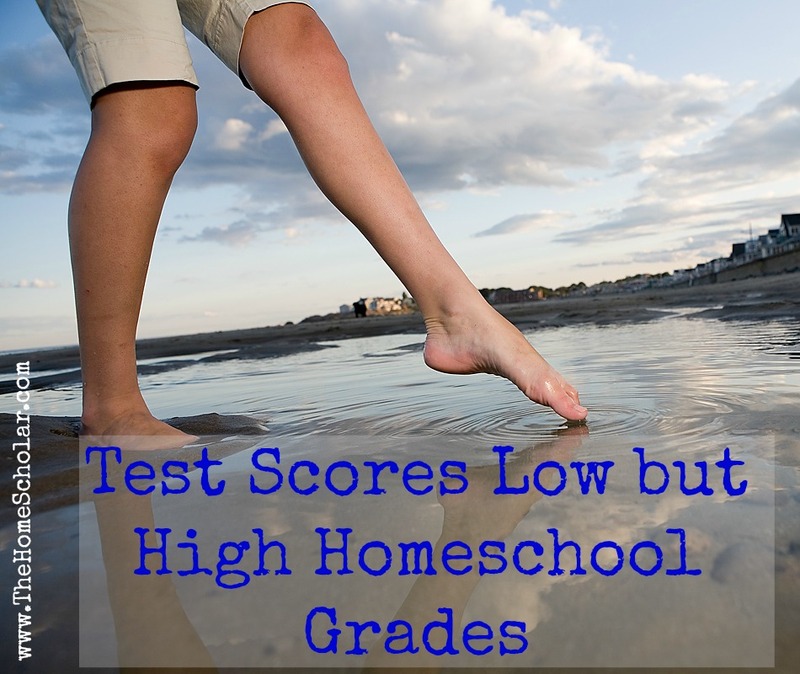 What do you do when your test scores don't match your homeschool grades? First rule of homeschooling - do not panic! Especially with the first time taking the SAT or ACT, the scores may not be accurate as the child is adjusting to the test. Tammy asked this question on my Video Tip of the Week. I have been working through my daughter’s transcripts, and her grades at home from tests, homework, and quizzes are good—-she is getting all A’s. Her first time taking the SAT, however, her scores were not as high as I had hoped—low in fact. 500′s and one score in the 400′s! All students should try to take the ACT and SAT at home, to see which one makes them look the smartest. If you feel scores were lower than expected, it may not be your child's problem, it could just be the wrong test - a mismatch can lower scores. Give a sample SAT and ACT at home, to see which test is best for your child. Whichever test is best, work on test preparation during your school day. You can use some of the test preparation to replace some of your English class. Your child does NOT have to get smarter to get a better score, she just needs to get more familiar with the way they ask the questions. There are plenty of kids who don't do well at fill-in-the-bubble tests that get good grades. So try to get those scores up if you can, even if that means switching tests, but don't panic about the test scores - look for other outside documentation if you need to. I always recommend that parents put grades on every class on your homeschool transcript. Either letter grades (A, B, C) or number grades (4.0, 3.5, 3.) will be equally helpful, but grades are important. I do not recommend using Pass or Fail on your transcript. Colleges award scholarships based on the GPA of your child - and the GPA is determined by the grades you provide. Without grades, you can't get a GPA. Colleges may still award scholarships based on test scores, but give them the option of giving you their best scholarships by providing them with grades. When my boys were in school, I did put grades on their transcripts. I've met some homeschoolers that would never put a letter grade on the transcript when they gave the grade themselves. I've met other homeschoolers that would never put a grade that they've gotten from accrediting agencies. But as I talk with colleges, they have made it clear: they want grades on the transcript. All teachers worry about having subjective grades. Homeschool parents worry about that too. 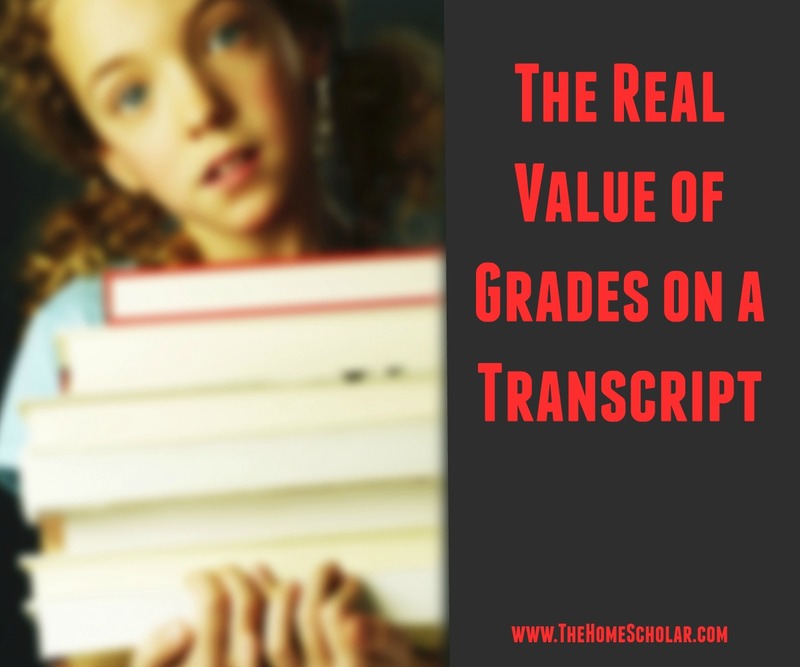 Just create a transcript with grades, putting on the transcript what you know to be honest and true. 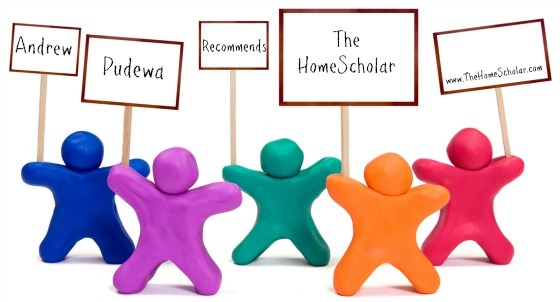 Colleges know that in general homeschoolers tend to work for mastery. If you work for mastery in your own home, you could feel comfortable giving them a 4.0. This means that they knew it before moving on. It doesn't really surprise colleges when they see really good grades on a homeschool transcript. When they see you give a less than perfect grade, a lot of times that would say that you’re a rough grader. 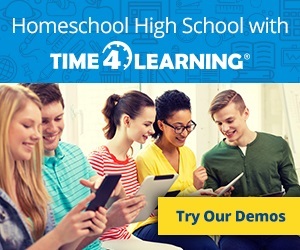 Learn more about grading in this free online class: A Homeschool Parent's Guide to High School Grades, Credits and Transcripts. As long as you have documentation for the grades you give and the SAT or the ACT scores. Those documents, when given together, look like a natural thing which doesn't freak them out at all. Learn more in this article: Super-Size Scholarships with Outside Documentation. One problem I sometimes see is parents who repeatedly start over every time they buy new curriculum. That's what I want you to avoid. Instead, keep your focus on "challenging, not overwhelming." Their work shouldn't be boring, and they should be actively learning, but the work should also be easy enough so they can be successful - and not in over their head. If you have needed to start over in math, don't start at the very beginning. Give them some credit for remembering bits and pieces of what they have learned before, using the prior curriculum. 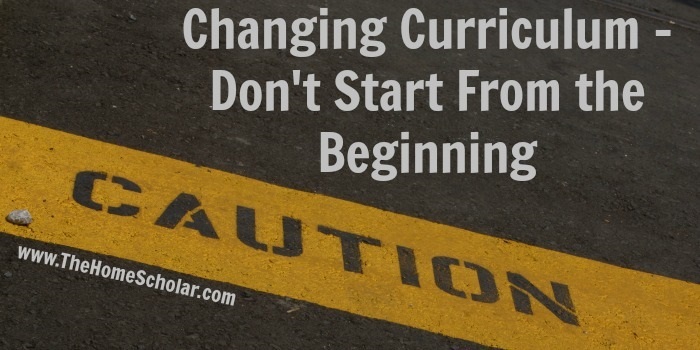 Just because they are starting a new curriculum doesn't mean they learned NOTHING previously. If you keep starting over, you will never reach your goal! Instead, you want to switch curriculum in a way that maintains some forward momentum throughout the subject. Let me give you an example. If you changed math curriculum, and now you are using Saxon math, you don't need to start at first grade math. 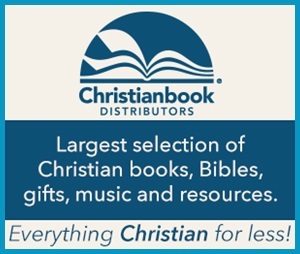 Choose a placement test that might be appropriate, and see what book they are placed into. Start with that textbook, but try to figure out where in the textbook they should begin. Here's how to do that. If they can pass the test for a chapter in Saxon, don't make them repeat that lesson. You don't need to needlessly slow them down in math, just give them the chapter test. If they get 80% or better on the test, skip those lessons. The next day, give them the NEXT chapter test. If they get 80% or better on the test, skip those lessons and go to the following chapter test. Eventually they won't pass the test anymore. At that point they will be actively learning, and that's what you want. You want to keep them challenged, not consistently reviewing or overwhelmed. One nice thing with Saxon is that they review in every single lesson, too - they use a circular learning style. So once you get into the place where your children are actively learning, they will still be getting review problems every day to fill any gaps they have. It's only very, very rarely that you need to completely start over. Give credit where credit is due. Even if your child is starting with a new curriculum, you can still give them credit for the work they have already done in the subject. Many parents choose online classes for their students, and from time to time will experience the "crash and burn" of failing grades from these classes. How can you make sure your smart child is represented fairly on the transcript, even if your child has failed some classes? If your classes are NOT accredited, then the class and grades are essentially like a homeschool co-op, and you are completely in charge of those grades. Their transcript is like a "serving suggestion" or recipe that you can use for informational purposes and modify it at will and is not sent to colleges. They only see what your child submits/does in class, and you are the teacher who sees the full picture. You are the real teacher here, and you can give her the grades she deserves. There are multiple ways of doing this. Give a grade for what she knows. Give a grade for her hard work. Give extra credit so she can boost her grade. Repeat the class if necessary, so she can learn what she needs to know. If your classes ARE accredited, then you have to work within their system to modify those grades. These transcripts must be sent directly to the colleges. You can't change the class titles, grades, or credit values, even if you are putting those classes on your own homeschool transcript. Homeschool independently for more flexibility. When you homeschool independently, you have all sorts of flexibility to modify curriculum to keep your child challenged but not overwhelmed. When you are not independent, it's possible for kids to fall in over their head. When you homeschool independently, you can change your expectations, adapt assignments, and turn on a dime when facing difficulty.